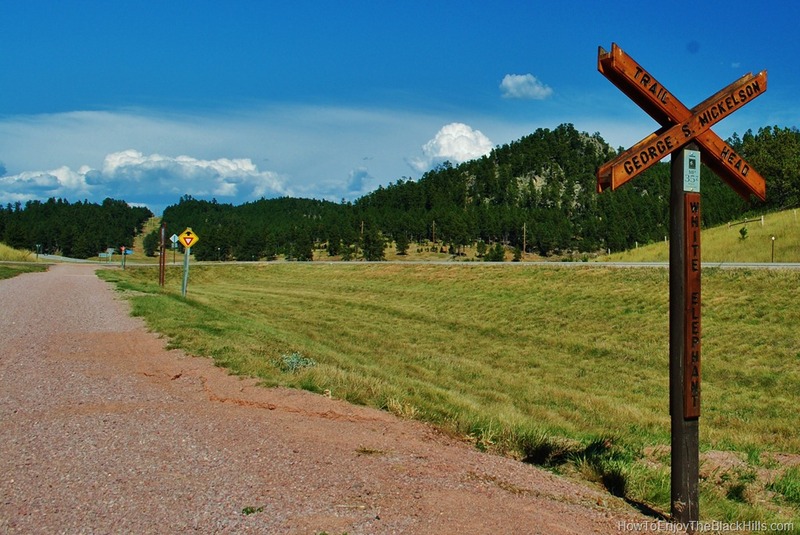 You can find the White Elephant Trailhead for the Mickelson Trail south of Custer along Highway 385. This is a simple trailhead with no services. Just across the road – an old feldspar mine is visible. The feldspar was shipped to Illinois in the early 1900s and was used to make a white glaze for bathroom fixtures. There is ample parking and it is 3.6 miles south to the Pringle Trailhead or 9.7 mile to the Harbach Park Trailhead in Custer. 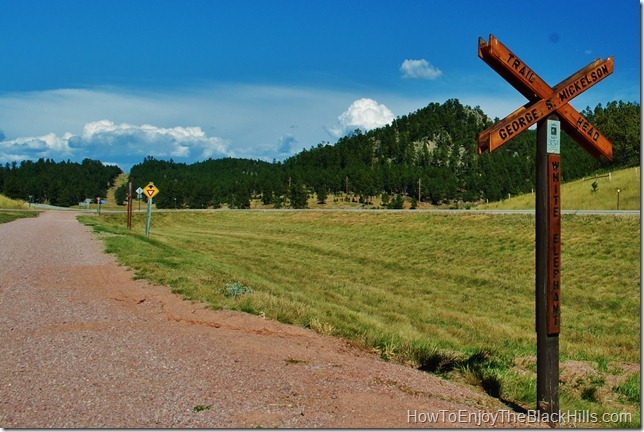 This trailhead and the others are clearly marked on Black Hills National Forest Map Pack: Topographic Trail Maps and I would encourage you to carry these with you as you travel the trail.